Start your Hadrian's Wall adventure at Birdoswald Roman Fort in Cumbria. Here you can still see the remains of all of the Wall's defining features. Stand in awe as the longest remaining stretch of the Wall spans as far as your eye can see, and explore the ruins of the Roman fort, a turret and milecastle. Delve into the story of the most famous Roman frontier with a new exhibition in the visitor centre. Get to grips with building bricks to find out how the Wall was constructed, check out some Roman artefacts, and gaze through a periscope to take in the view from the original height of Hadrian's Wall. Hadrian's Wall is begun, and is first built of turf not stone in the western sector. Birdoswald fort is built astride the Wall, on the site of one of the Wall's stone turrets. Birdoswald is manned by the 1,000-strong first cohort of Dacians, from what is now Romania. A civilian settlement develops and prospers around the fort. Troops are withdrawn from Britain as Roman rule collapses, but Birdoswald remains occupied. A typical border bastle house is built within the fort walls, for defence against raiding by 'reivers' or robbers. A new building, now part of the Birdoswald farmhouse, replaces the original bastle house. Henry Norman buys Birdoswald, adds a tower to the farmhouse and landscapes the site. The Potter brothers from Newcastle excavate the fort walls and gates. Francis Haverfield and the Cumberland Excavation Committee discover the Turf Wall and the course of the Vallum earthwork around Birdoswald. Celebrated Hadrian's Wall excavator FG Simpson discovers the Vallum crossing and excavates the fort interior. Francis Eden, 6th Baron Henley, buys the Birdoswald estate and places the fort walls and gates in state care. 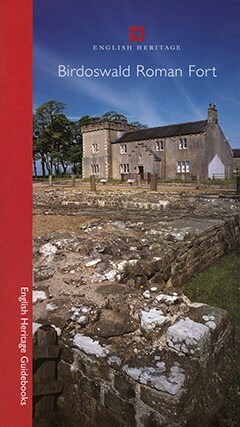 English Heritage resumes excavations and takes over management from Cumbria County Council in 2004.